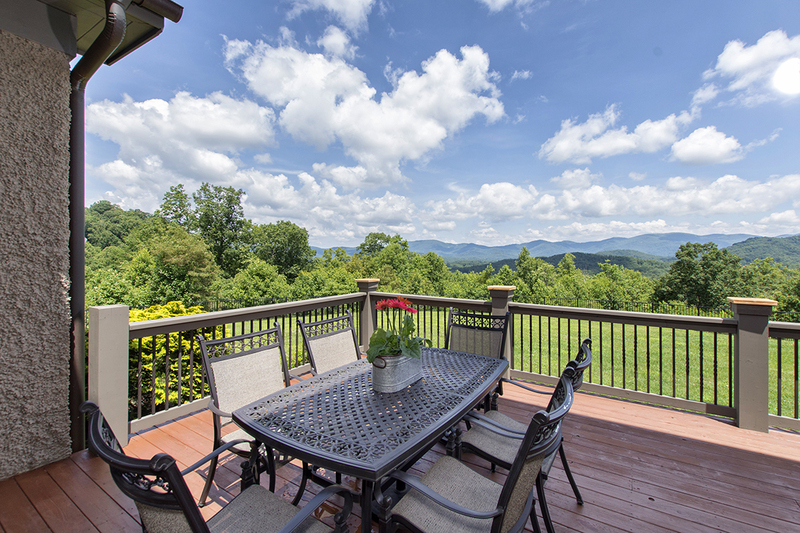 Amazing panoramic views from the country setting of this beautiful transitional style home in Fairview, located just minutes from vibrant downtown Asheville, is a perfect tucked away paradise. Three levels of home have been exquisitely designed to meet everyone’s desires. Walking in the main level, be greeted by vaulted ceilings and warm walnut floors with the spectacular backdrop of spanning mountain views. The gourmet kitchen is the heart of the main level built in an open design with the great room and breakfast room that walks out to the covered deck. 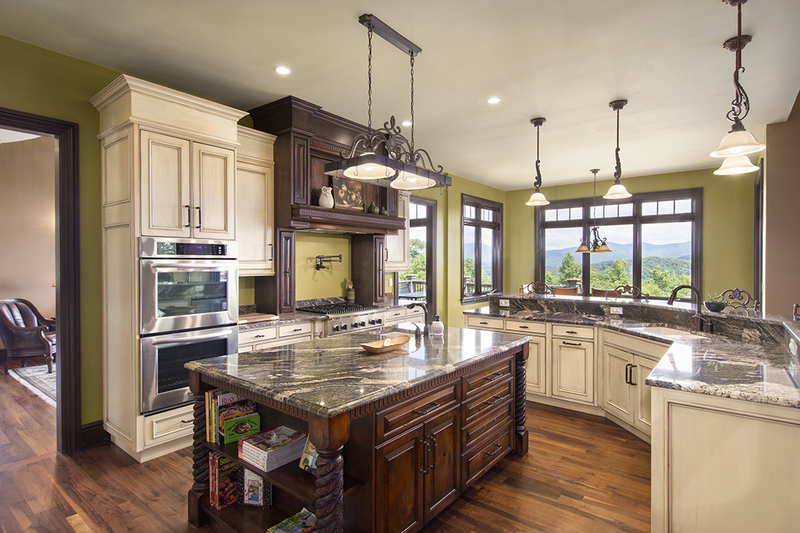 Create sumptuous meals as your family and guests mingle by the granite wrap around high bar. This chef’s professional kitchen, with it’s 6-burner gas stove and plenty of granite counter prep space, is ideal for novices and pros alike. Walk out onto the deck where you can lounge with your afternoon tea and breathe in the fresh mountain air. Everywhere you look you can see layers upon layers of awe-inspiring mountain views. Fun awaits in the lower level where you can workout in the exercise room, play pool or ping pong and even climb a rope up to the main level! Crafters find their niche in the dedicated craft room with built-in tables and shelving to keep you organized. The playroom or music room, and the spacious workshop will keep you busy creating your favorite projects. After an active day, the gang will want to gather in the media room with its large projector screen situated above the toasty fireplace. 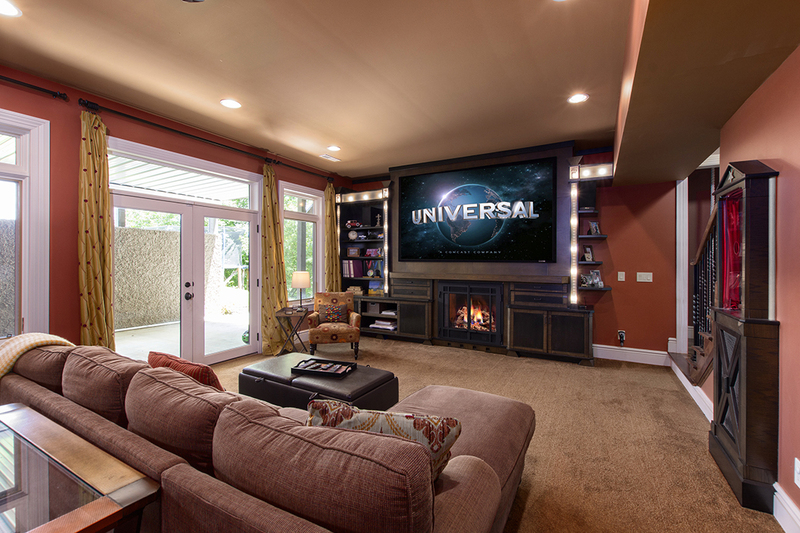 Grab a soda from the wet bar and a bowl of popcorn and be entertained for the evening. Nights will beckon for you to walk out under the stars and watch the moon rise. After a lively day, rest will come easily as family and guests settle in the bedrooms each with its own bath ensuite on the upper level. For you, the master suite on the main level is an oasis on its own. Sink into the deep jetted soaking tub with its mountain view window and wash the day away. 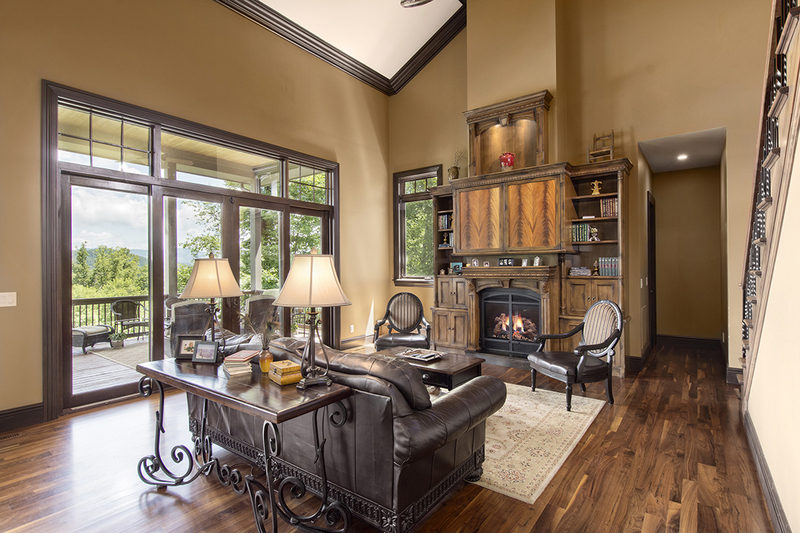 Cozy up to the master suite library fireplace and read a favorite book. Slumber will be delightful and ready you for the start of a new day. Monarch Estates is a private gated community along the horse farms in Fairview. The mountain views will take your breath away as you witness the change of color in each season. Be inspired by the sheer beauty of the outdoors that reflects inside in this custom built home, where every need and whim has been accommodated, where entertaining guests, everyday family play, and quiet intimate evenings are savored. Lower level 1000 gallon water tank fed by 4 gutters for watering lawn etc.